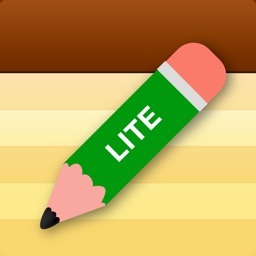 I really like this note taking app because of the concept alone. Why just take notes that stay on your iPhone? How about uploading your notes to GoogleDocs for viewing across multiple computers or devices? NoteMaster does just that. Another cool feature is the ability to attach photos to your notes right from your iPhone's saved images! This is the perfect app for estimators, designers, or photographers looking for a way to attach a visual to their notes and then upload them to Google Docs for safe keeping. 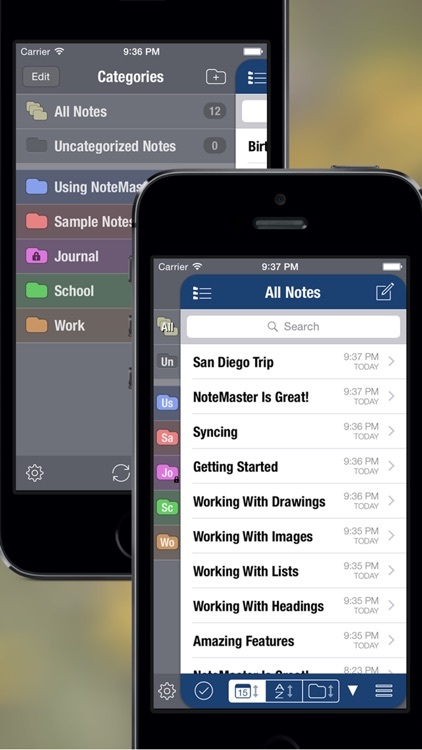 Create amazing notes with ease. 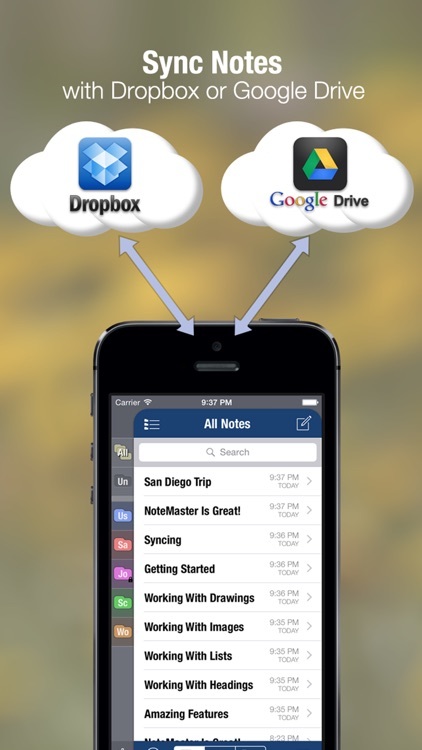 Sync with Dropbox or Google Drive. FEATURED BY APPLE : "STAFF PICK" and "NEW AND NOTEWORTHY" in the App Store! 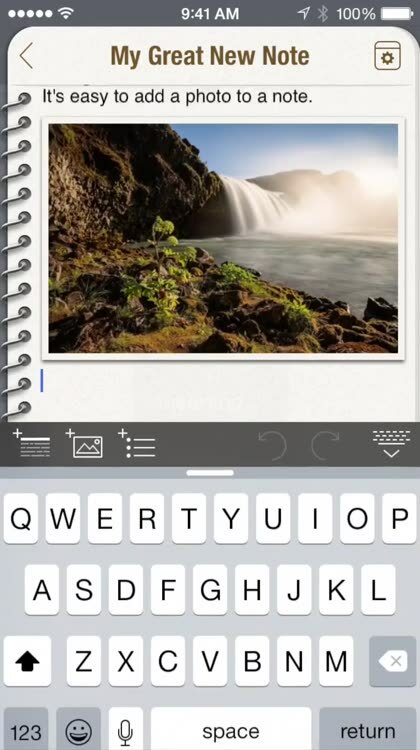 Text, Images, Lists, Headers, Photos, Drawings...you'll never be limited to boring notes again! 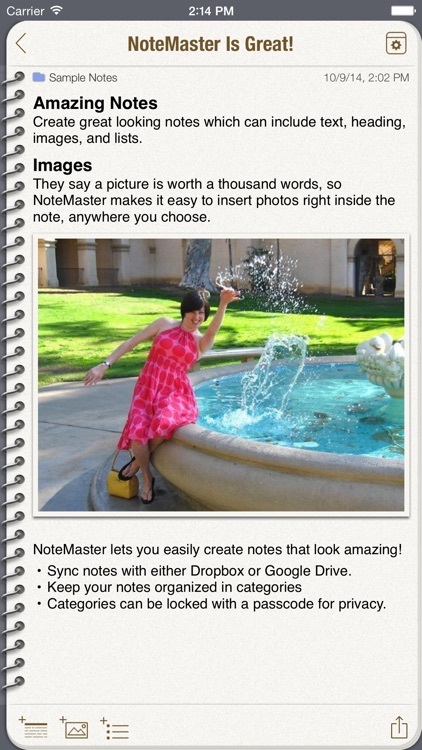 • Images, photos and drawings can be inserted right inside the note. 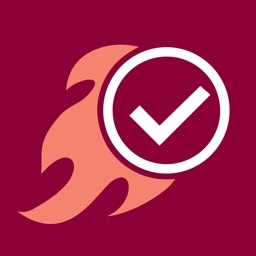 • Easy creation of bulleted lists, numbered lists, checkbox lists. • Bold text headings can be used to organize the note contents into logical sections. • Choose from a stunning variety of note backgrounds and fonts. • Syncs with either Dropbox or Google Drive. • AUTOMATIC SYNC when you open or close the app. No need to remember to manually sync! • Use the app normally while syncing occurs in the background! • Notes synced with Dropbox are synced as .docx files and can be edited with Microsoft Word 2007 or later. • Notes synced with Google Drive are synced as Google Docs documents and can be viewed/edited online. 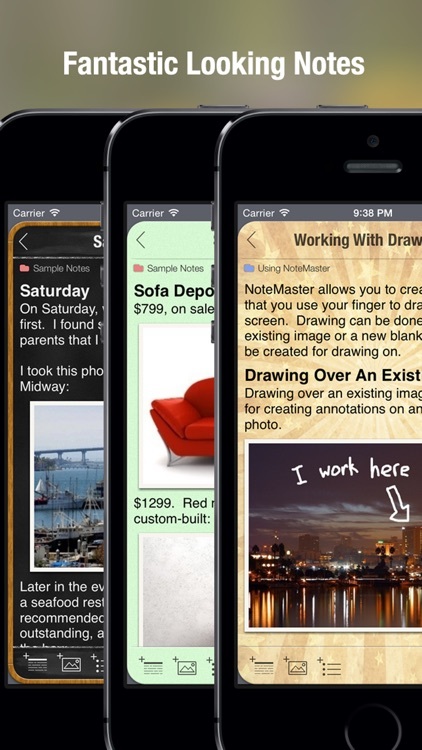 • Multiple devices running NoteMaster can share notes by syncing with the same account. • Keep your notes organized with categories. • Categories can be locked with a passcode for privacy. • Find notes quickly using the full-text search. 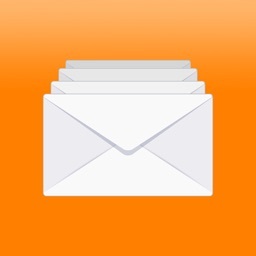 • E-mail notes as rich HTML e-mails. • Print note to any AirPrint compatible printer. 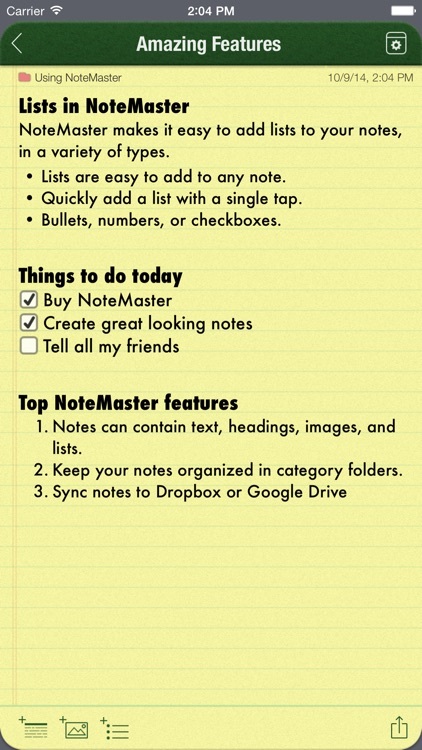 If you'd like to try NoteMaster before you buy, please download our FREE version, NoteMaster Lite.